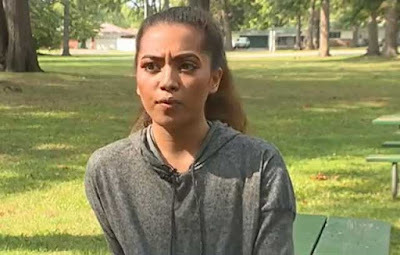 Hazel Juco says when she saw discoloured water coming from the sink at her school in Westland, Michigan, it concerned her. “I just took a picture of it. And then in my newspaper class I talked about it with them,” said Juco. The senior at John Glenn High School also posted the picture on Facebook and Twitter, voicing complaints. “I always hope that someone will see it and want to help us,” said Juco. Wayne-Westand Community Schools Superintendent Dr. Michele Harmala says she looked into what was happening at the high school. She says she found out high school administrators made mistakes. 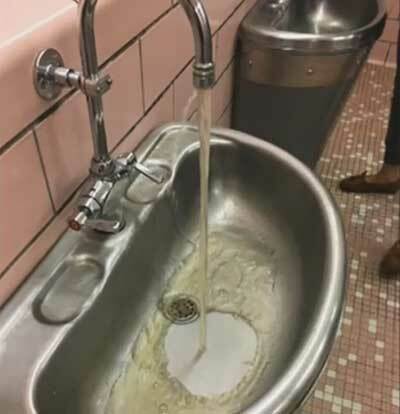 They didn’t report the water issue to maintenance. Dr. Harmala made sure maintenance knew about it. “They sent a plumber out right away,” said Dr. Harmala. It turns out there is a pipe leading to that faucet that needs to be replaced. That is being done. Dr. Harmala says the rule against cell phones in bathrooms aims to prevent inappropriate pictures of people, not pictures of building issues. “The punishment is inappropriate. I am going to make sure the out of school suspension is expunged from the student’s record,” said Dr. Harmala. Dr. Harmala says this is a learning opportunity for students and staff. She wants students to know there is a building problem they feel is being ignored, they can report it to building maintenance or administration directly. It will give them a chance to address it sooner than if it is just put on social media.